Figure 1: The fan needs a couple more machine screws. 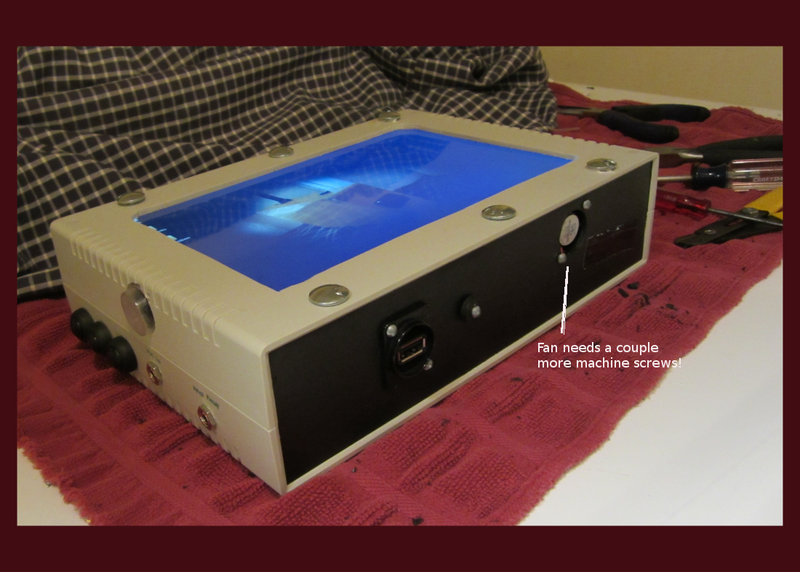 Placed towards the top of the enclosure, near the processor, it draw off heat from both sources (LCD and processor). Click to enlarge the photo. The first homemade tablet is equipped with a 10 inch screen, as its nine inch screen was pulled out about a month ago. With the change-over to the new screen, I noticed a little more heat build-up inside of the enclosure, and I endeavored to remedy that unwelcome discovery with a small fan attached to the side of the enclosure. I purchased a $4 fan online. It’s a 25 mm x 25 mm x 10 mm fan, which is about as small as they come. It absorbs another ~50 milliamps from my battery pack, runs at ~12,000 RPM, and requires between 5VDC and 12VDC. So, how did it do? Well, for starters, I quickly discovered the downsides of $4 fans. Pressing on it in order to push it onto the mounting screws, the little plastic tabs that connect the motor assembly to the frame broke loose, leaving my thumb in the frame, and the motor on the table. Fortunately, super glue fixed that problem (sort of). 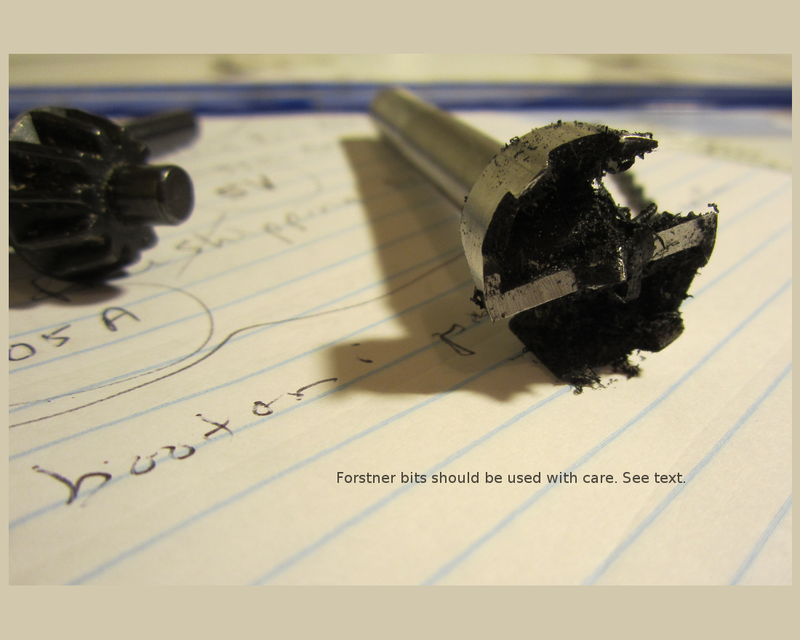 Figure 2: I use Forstner bits (with care), although if I were to recommend something it’d be a Greenlee punch (see text). Click to enlarge. It’s always a good idea to have both super-glue and duct tape in copious quantities to do this kind of work. 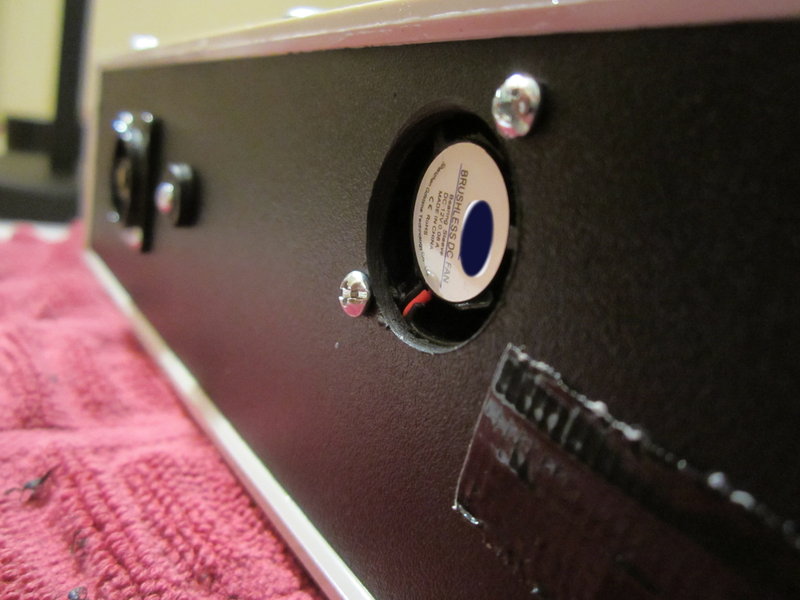 Mounting the unit on the side of the enclosure was fairly painless, using #440 hardware. 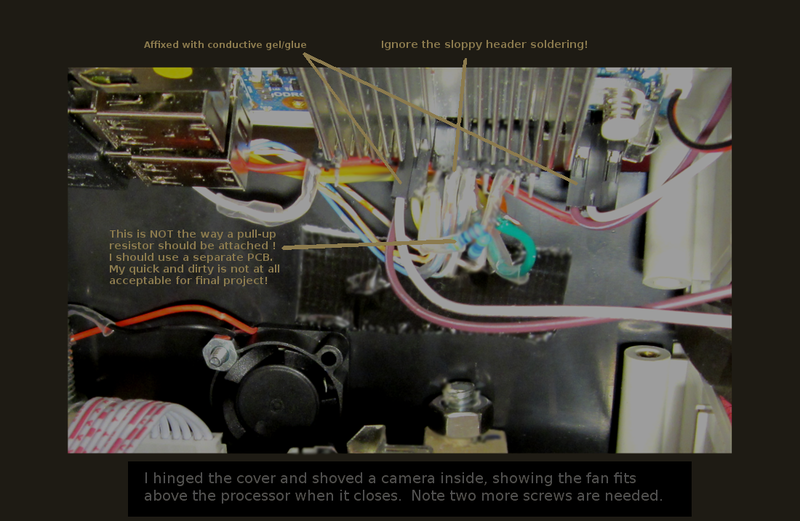 After tightening the machine screws, I turned the switch on the enclosure to the “on” position (I had temporarily incorporated a switch to test the fan, it will be thermostat controlled eventually) – and the blade rotated a quarter turn and jammed (which stopped it). Looking closely at the unit, I saw that the blades protruded ever so slightly outside of the frame, probably due to an imperfect super-gluing job. From my mechanical toolbox I extracted a couple spacers, and remounted the fan. I switched it on again and it took off spinning. It seemed very quiet, and in fact I could not hear it at all. I looked at the blades and yes – they were turning. I wetted a finger and put it in front of the little fan. Nothing. But, the blades were spinning! Slowly the spinning fan became less quiet. After about thirty seconds, it was making about the same amount of noise as any other laptop fan would make. A wetted finger then detected air flow. So far, so good. I have a BMP180 in the enclosure, as well as the CPU thermistor that is built into the C1’s processor. I could also use the battery thermistors in the event I wanted to get power from the wall wart instead of the batteries. Between the two (or more) temperature monitors, I figured I could conduct a test to see how well a $4 fan would cool my stuff. Figure 3: The hole is shown just after drilling and mounting. It needs two more screws and a grill cover. It’s a sleeve bearing unit, so we’ll see how long it lasts. IMO, the Forstner bits work OK on wood and plastic, but I wear a mask, and clamp the work piece very well, as it can spin loose if it’s not properly mounted before drilling. A drill press would be optimal for this. The end result needs a little deburring, as can be see in the photo. I think I’ve mentioned on other pages that LCD monitors are not built to take very much heat. Excessive heat can cause the crystals to become permanently mis-aligned. Many are rated only at about a hundred degrees Fahrenheit (or even less). The new ten inch screen was getting up to about 95F degrees, which made me uncomfortable. Hence, the fan I purchased, to ward off the extra heat. Initially, the BMP-180 showed a decline of a degree or so, and the processor showed no decrease at all. I realized I had no cross-flow through the enclosure. I had to plug off the places I did NOT want to have flow, and open the places where I DID want air flow. So, I had to block the microphone and stereo output jacks, which were allowing some air to be pulled from the bottom of the enclosure, doing no good at all. I looked at the USB panel connector, and it seem relatively airtight. Dittos for the power plug. I figured that just about any kind of silicon this-or-that could be injected into the rear of the audio panel jacks (but not so much as to prevent insertion of the plugs). I had to apply a seal around the edges of the fan frame, to keep the fan from pulling its input air from the immediate vicinity of the fan itself. And, I had to punch some ventilation holes into the panel on the opposite side of the case from the fan, to provide a source for the cross-flow. After those mods, the processor temp dropped six degrees, and the LCD felt (to the touch) much cooler. Success! Figure 4: A camera shoved inside the case as the lid is partially closed, shows the fan close to the processor. Click to enlarge. The odd thing I noticed was that the BMP180 temperature monitor was not reflecting as much of a drop as the processor. Yet, touching the surface of the LCD told my fingers that it was cool enough, and not near my body temperature when the fan was running. Then I observed that the BMP probe was pretty close to the bottom of the enclosure. My guess then, was that the air rising from the processor was being carried off, rolling on the underside of the LCD, until it was exhausted out of the fan hole. So, the temperature in areas of the enclosure where there was little air flow tended to be higher, even if those areas were lower in the box. And, obviously, the air flow was sufficient to lower the temperature of the air flowing across the bottom of the LCD. There’s so much more to this than meets the eye! I’m running 10 volts on the fan, just because I had a convenient pick-off point for it. It starts very slowly, obviously generating little torque. It must take every bit of a minute to reach 12,000 RPM. I wonder how long it would take at 5 volts? It’s a sleeve bearing in the fan (what you get for four bucks!). We’ll see how long it lasts! For control, one can just use a heavy duty NPN transistor, a few resistors, and a couple zener diodes. Then, it could be controlled with GPIO. What I found though, is that my enclosure was getting to the point of 95F after only a half hour. After that point, I found that it really needed to run continuously in order to get the job done. Guess that’s the downside of a small, low current fan. Therefore; I wired the little cooler into the circuit in a way to have it “on” all the time. As a result, it keeps the interiour of the box only a couple degrees above ambient. Nice! The individual header pins in figure 4 are pretty ugly, and the individually soldered pins are even more ugly. Although typical of prototypes, these connections should be replaced with a solid 40 pin ribbon and a 40 pin wide separate PCB in cut number two. Note: The NF-A4X10-FLX 5V fan is a product of Noctua at http://www.noctua.at. This author and site has no affiliation with them.